Muscle cars left a huge footprint on the North American automobile industry and US culture. The rare models are sought after and attract thousands of car collectors all over the world. They star in popular movies and turn heads on the streets. Yet, the idea of a muscle car is very simple – put a huge engine in a 2-door coupe, keep the price as low as possible and you win over customers. No need to worry about the car’s ability to turn, no need to worry about safety or fuel economy. It only needs to be able to perform well in drag racing and have an aggressive and stylish looks. This formula was not a long-lasting marketing tool, but left us many iconic cars, mainly built from 1964 to the early 1970s. A typical muscle car would have a V8 engine, rear-wheel drive and a two-door body, either coupe, hardtop or convertible. And it’s got to be born in America! So here is a list of the 10 best muscle cars ever made in the USA. First built in 1966 to compete against Ford Mustang, Camaro was more of a pony car rather than a muscle car. However, the top versions were powered by 6.5 L and 7.0 L V8 engines that turned them into real beasts. Apart from mass-production Camaro versions, Chevrolet built 70 ultimate ZL1 cars with the iconic 427 cubic inches aluminum-block V8 engine, producing over 430 hp. It was able to run ¼ mile in as little as 11.6 seconds, accelerating to 60 mph in just over 5 seconds. Unlike most of its contemporaries, Chevrolet Camaro stayed in production till 2002, and was reincarnated in 2010 as a modern affordable muscle car. 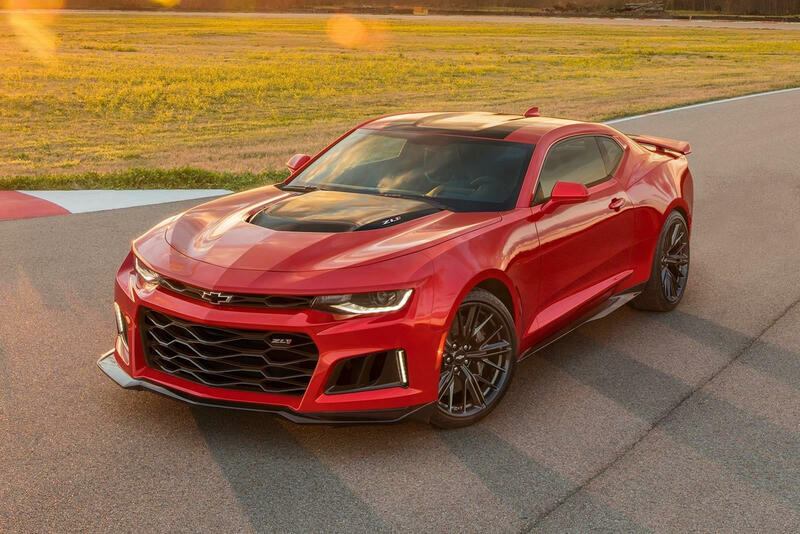 Thanks to its extremely appealing looks, the new Camaro featured in a popular movie Transformers and its sequels. 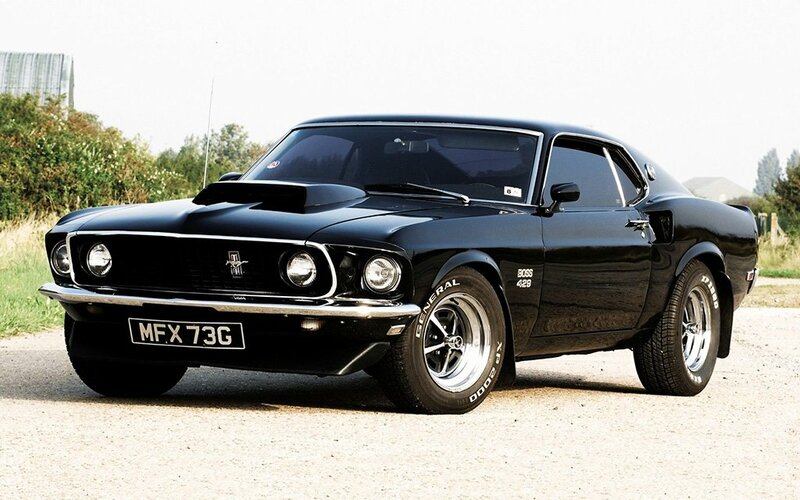 The icon of style, Ford Mustang has never been a true muscle car since the beginning of its production in 1964. The prices started from just $2,368, and to keep it this low the vehicle shared most components with other Ford cars, mainly Falcon, and was offered with budget powertrains. However, Mustang called for more powerful options and was often used as a base for performance vehicles, such as Shelby Mustang. From 1969 to 1970 Ford produced around 1,400 Mustang Boss 427 versions, propelled by 427 cubic inches V8 engine, delivering 375 hp. Ever since the Boss has been hunted for by collectors from all over the US. Mustang has never been as successful as in the 1960s, but remained one of the best-selling Ford cars. American Motors Corporation was attempting to join the muscle car fever and launched the ultimate version of AMC Rebel in 1970. Nicknamed The Machine, the car was notably painted white, red and blue to remind of the US flag. The 6.4 L V8, delivering 340 hp, came standard for The Machine. The big air-intake scoop on the hood, enhancing performance, held an integrated tachometer and contributed to the car’s aggressive exterior design. Apart from standard equipment, AMC dealers offered various performance kits, turning The Machine into a hot drag racing vehicle. Many car experts credit Oldsmobile Rocket 88 for being a predecessor of the muscle car class. 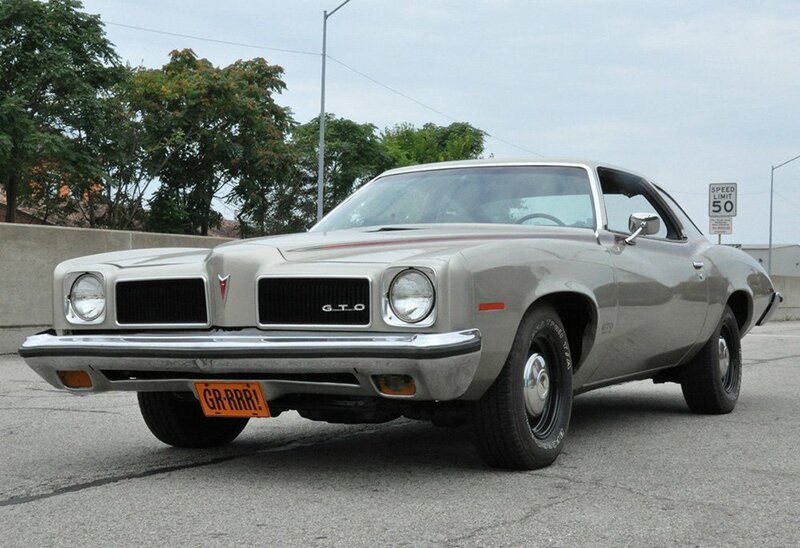 However, the true Oldsmobile muscle car was the 4-4-2 model. 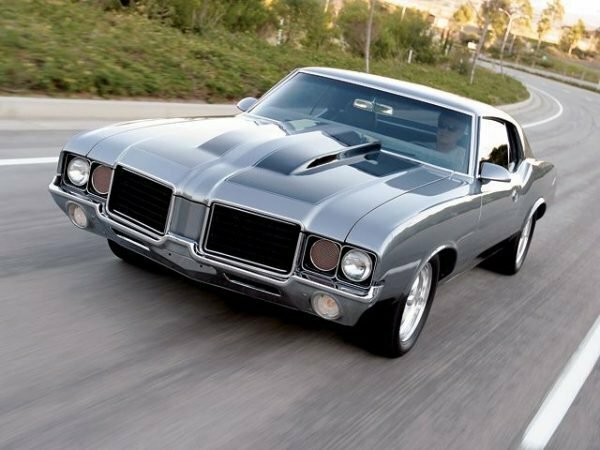 In a bid to provide competition for Pontiac GTO, Oldsmobile spiced up their Cutlass model and marketed it as a 4-4-2 package. The second generation that debuted in 1968 featured an optional monster 7.5 L V8 engine, accelerating the vehicle from 0 to 60 mph in 5.8 seconds and running 1.4 mile in 13.7 seconds. After the oil crisis Oldsmobile was forced to reduce the engines’ size, but the 4-4-2 package was being offered for the company’s cars through 1991 with some interruptions. Just like Pontiac GTO, Plymouth introduced their muscle car GSX as the ultimate version of their 2-door hardtop coupe Belvedere. GSX was available with two engines, a standard 7.2 L V8 and top of the line 7.0 Hemi V8. This monster accelerated the muscle car to 60 mph in less than 5 seconds and pushed it through ¼ mile in just 13.5 seconds. GSX was offered with a 4-gear manual and 3-gear automatic transmissions and featured a high level of trimming, which made it quite expensive. 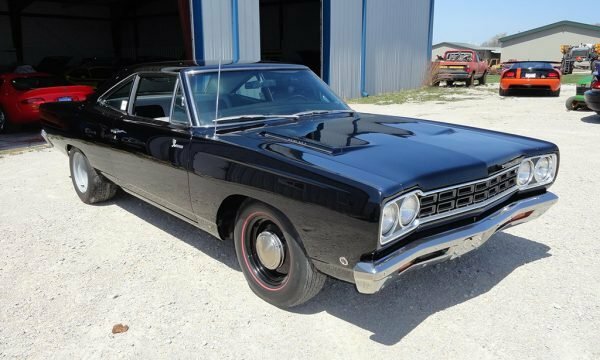 After just four years of production Plymouth discontinued GSX to focus on a more affordable Road Runner. Only 44,000 were built. Road Runner was Plymouth’s long-running muscle car that survived during the 1973 oil crisis. It was launched in 1968 as a cheaper option as opposed to the company’s upscale muscle car GSX. Many customers wanted a simple, powerful and affordable drag-racing vehicle and Road Runner satisfied these demands. Priced under $3000, it was powered by the standard 6.3 L V8, but could be ordered with the same 7.2 L V8 and 7.0 L Hemi engines as GSX. Being lighter than its sister model, the Road Runner could reach the ¼ mile in under 14 seconds. The muscle car became a bestseller, only outsold by Pontiac GTO and Chevrolet Chevelle. Later models were offered with smaller engines in a general downsizing trend. Chevrolet’s Super Sport (SS) version of Chevelle, previously known as Malibu SS, debuted in 1966. The first generation was powered by a 396 cubic inches V8, but a 454 cubic inches, 360 hp monster was introduced in 1970. It could accelerate to 60 mph in 5.3 seconds and run the ¼ mile in 13.6 seconds. If that was not enough, 4,475 LS2 versions of SS454 were produced, delivering over 450 hp and beating arguably all the rivals. 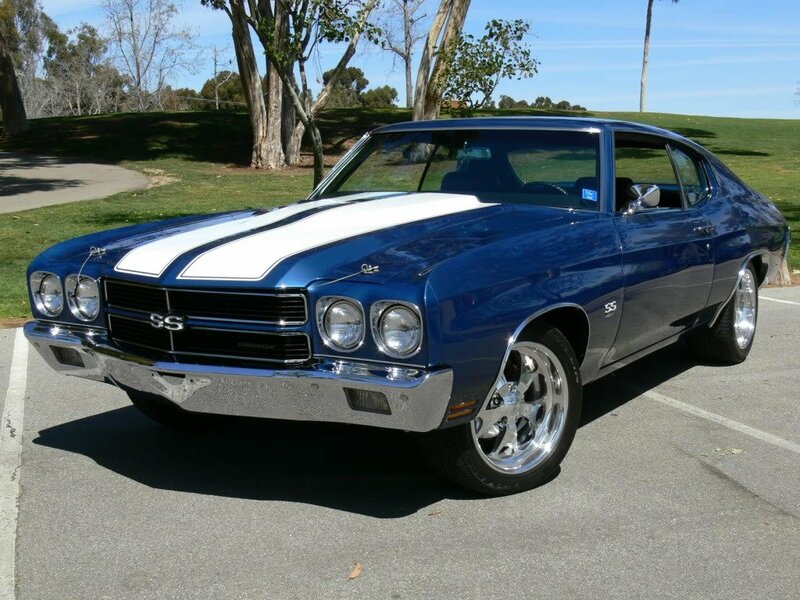 Besides, SS Chevelle received huge appraisal for innovative design with a stylish rear part. 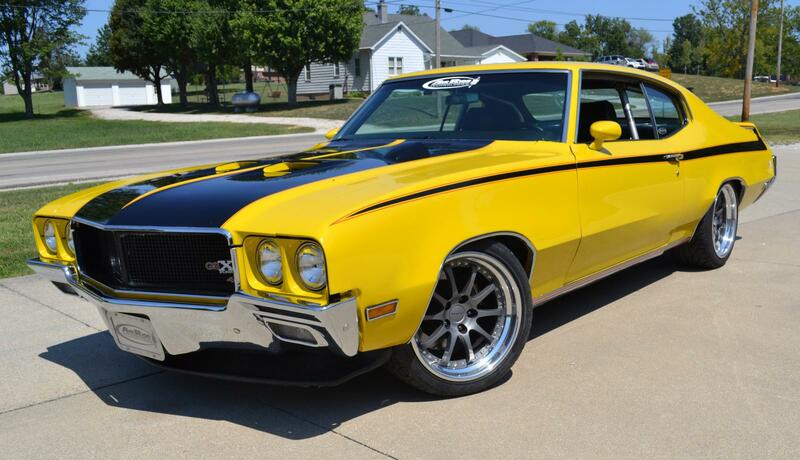 Like most of the muscle cars, Chevrolet SS Chevelle suffered a blow during the 1970s crisis and perished in 1977. Like Ford Mustang or Chevrolet Camaro the original Plymouth Barracuda was a stylish pony car. However, models equipped with top of the range powertrains were hot pieces indeed. The Hemi ‘Cuda versions were powered by 426 cubic inches Hemi V8 beasts and featured improved suspensions and reinforcements to handle the immense torque and over 400 hp of raw power. The car passed ¼ mile in 14 seconds and accelerated to 60 mph in 5.3 seconds. 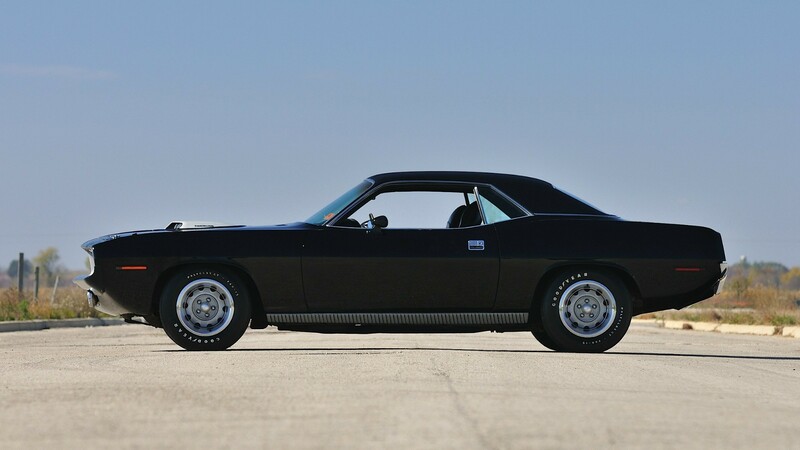 Only a few of these were built in 1970 and 1971, making Hemi ‘Cudas exclusive collection vehicles. One of the 14 original Convertibles was sold at Seattle auction for $3.5 million in 2014. 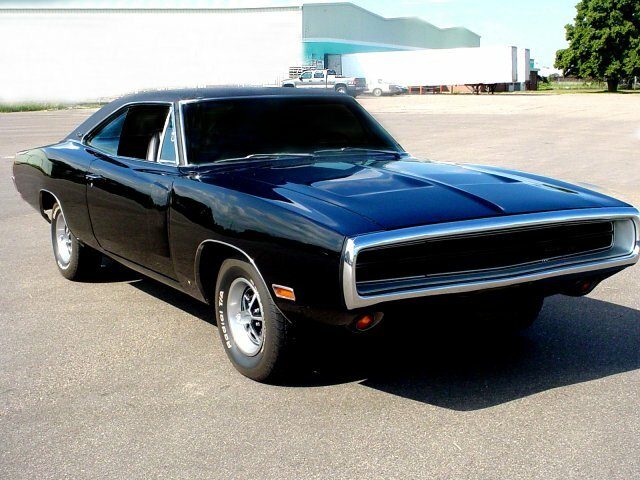 Charger was first introduced in 1966 as a fastback and was based on Dodge Coronet. The car featured a standard V8 engine, hidden headlights, full-width taillights and folding back seats. However, it was not before a major redesigning in 1968 that Charger became an iconic muscle car. 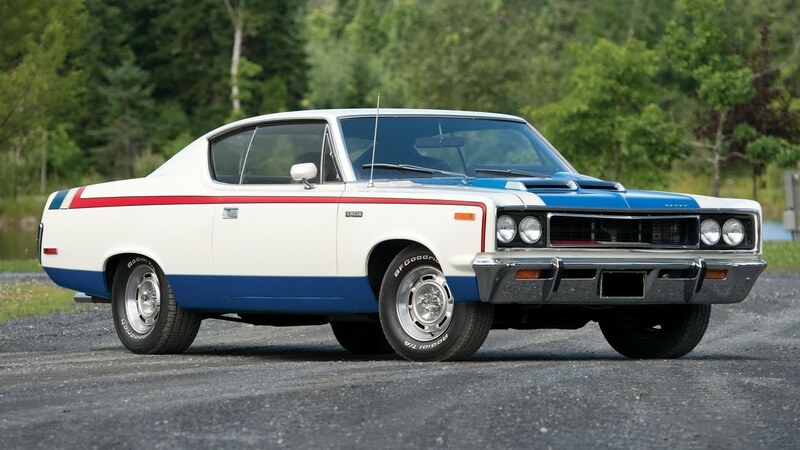 The high performance R/T package offered 440 cubic inches Magnum and 426 Hemi engines that propelled the car to 60 mph in under 5 seconds and made it run the ¼ mile in 13.3 seconds. In 1969 Dodge introduced Charger Daytona, the racing version of the muscle car, aimed at NASCAR victories. The latest reincarnation of the legendary muscle car is offered at Dodge dealerships these days, with the SRT version boasting a 6.4 L V8 engine, providing 485 hp. This is where it all started. Let alone the 1949 Oldsmobile Rocket 88, Pontiac GTO pioneered the romantic era of the American muscle cars. It was first offered as a $295 package for Pontiac Tempest in hardtop and convertible body styles, featured powerful 6.4 L and later 6.6 L V8 engines. Named after Ferrari GTO, the new car was nowhere close to showing similar riding quality, but inspired all the major US manufacturers for producing similar vehicles and proved to be extremely popular with North American customers. Hit by 1973 oil crisis, the model was discontinued in 1974 having had three generations. In 2004 Pontiac revived the legendary name for three years to sell Australian-made Holden Monaro in the US.